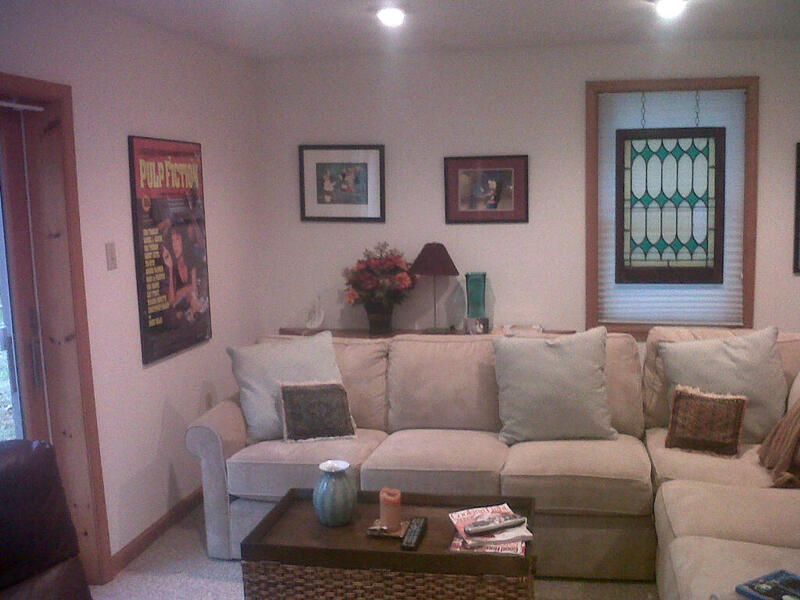 An old friend asked me to help her refresh her family room. Turn your love of decorating into a career with an Interior Design degree at these online accredited colleges. The room already had great pieces, like this great sectional from Dwelling, but it needed a little umph, and warmth added to it. It’s still being tweeked, but it turned out great! 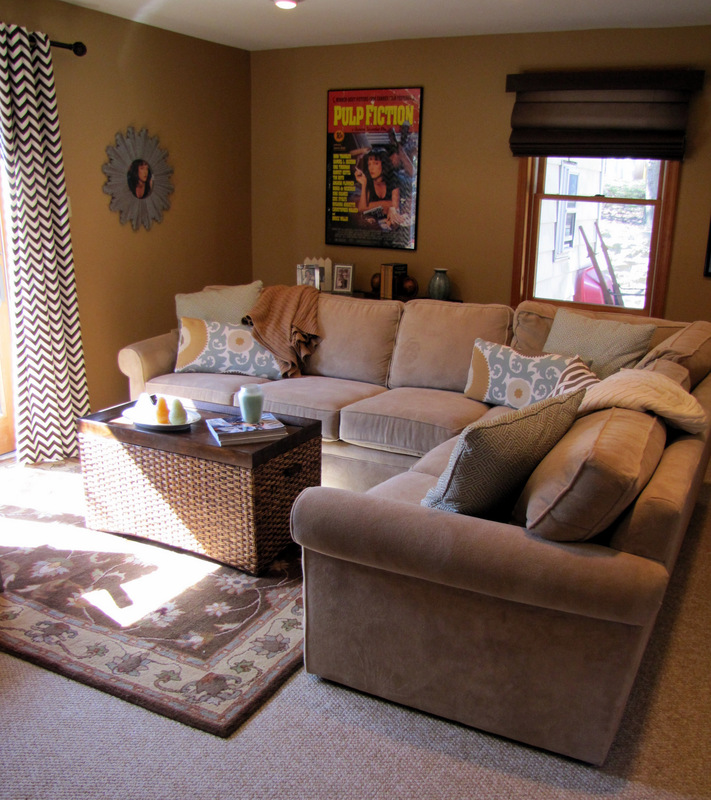 We first started with a design board, so Paula could see my vision to warm up this room. She was happy with all my selections, and quickly started shopping for her refreshed room. 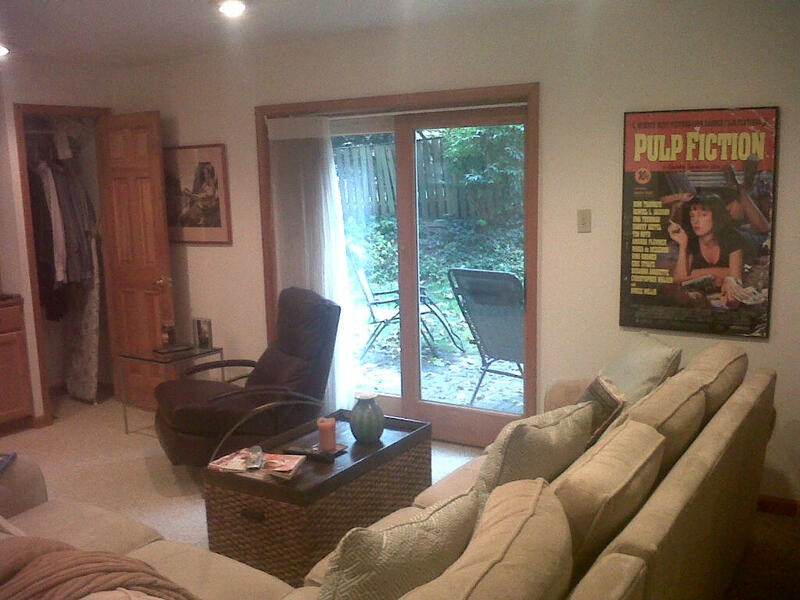 Here’s the room when we began…Brrr! We added brown and cream chevron drapes to the sliders for a bit of color and a little privacy at night. Paula is in the entertainment industry, so she has some cool, quirky entertainment art, which I love, ’cause they’re one of a kind and really make a statement about who lives here. 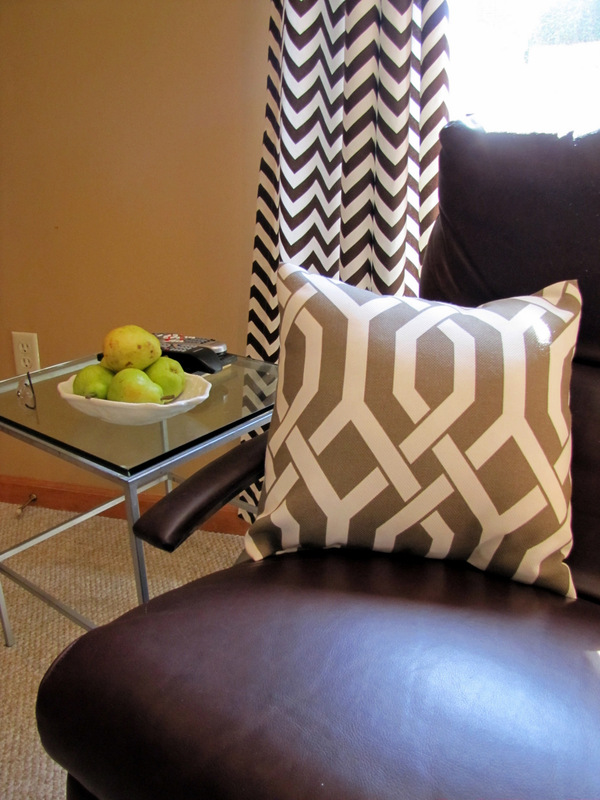 We added lot’s of color and personality with these patterned pillows I found on ETSY. Love the warm glow the room has now. Love the colors! The paint really warmed up the space. Nice job. What a great change! I love your design board. 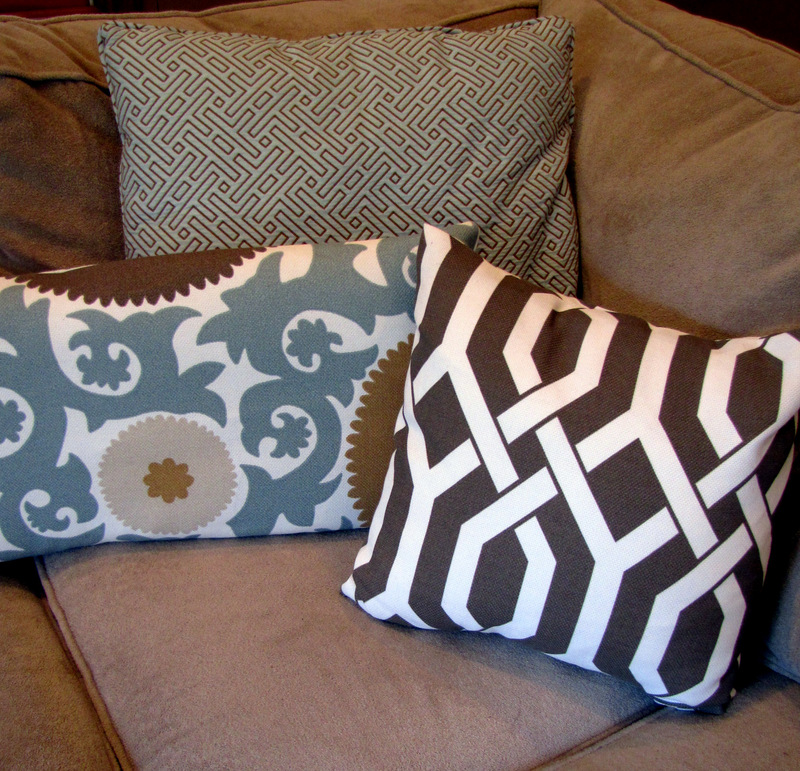 There's nothing like Etsy for cool pillows…I love it all. Great space. I can totally see the accent wall once painted too. I like how you added just that little extra to bring the warm together. You gave your friend some great advice, her room looks lovely. 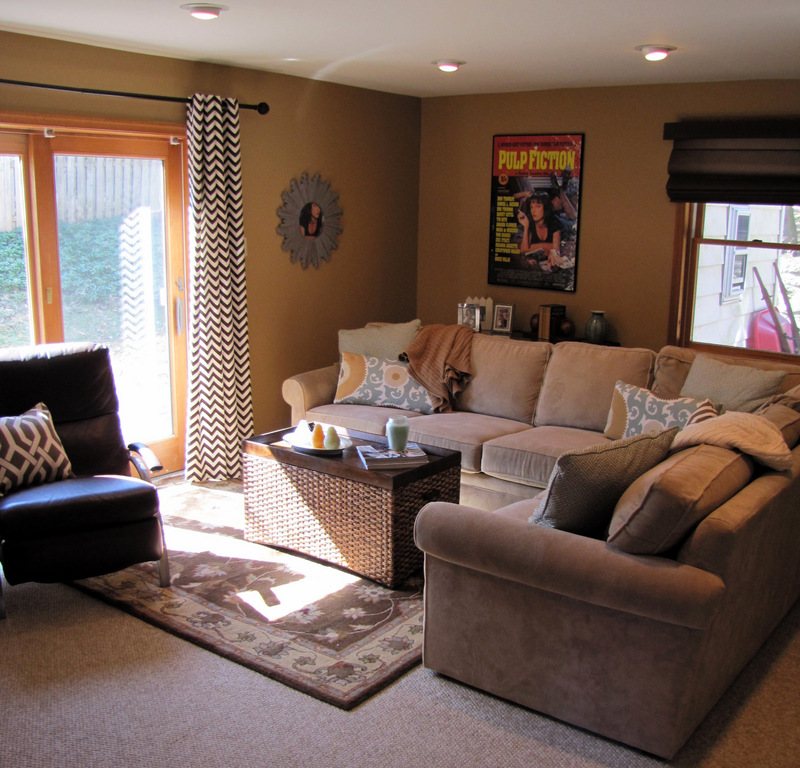 The darker walls really helped and they make her sectional look so much better. 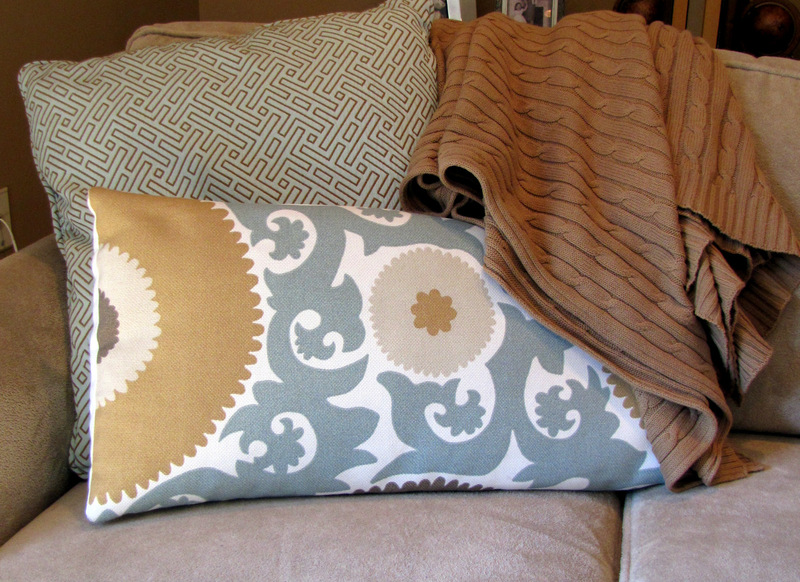 Love the pops of aqua in the pillows too. How did you get Uma Thurman to reflect perfectly in the mirror. That's expertise. I love that you've added more pattern into the room and window treatments! 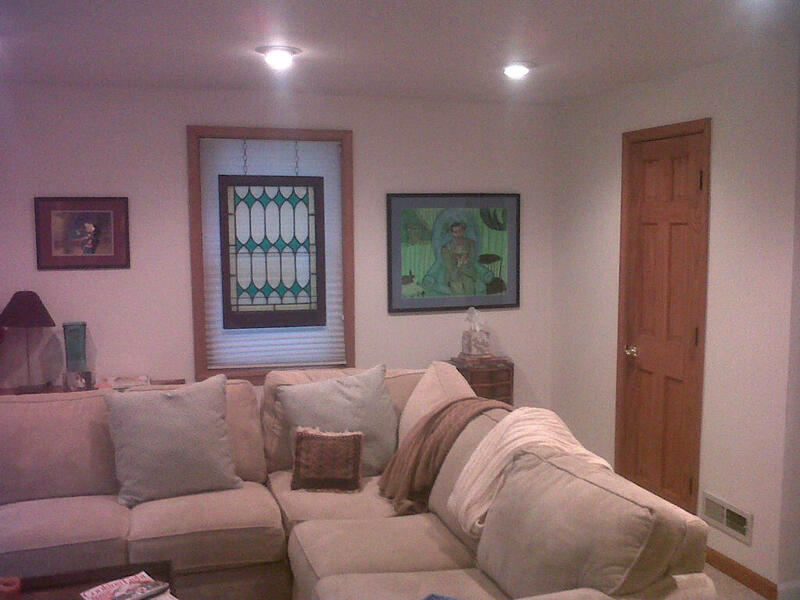 Window treatments can really make a room as it shows here. And you still kept it fun too which is great. Home plays vital role in every person's life. 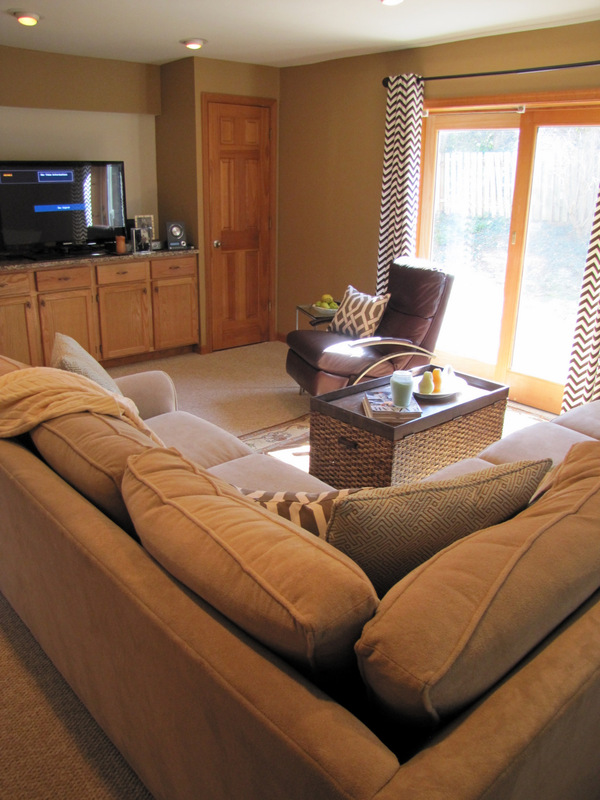 You share such nice images of family room. Its look so beautiful and wonderful. The color schemes are great. The cool chevron curtains add a nice touch too. The room really seems to have "warmed up" with the color change.